The New Standard Interior Lining for Great Dane Everest Reefers. Designed to protect a trailer’s interior walls from everyday abuses, PunctureGuard scuffbands and wall liners are incredibly thin,yet nearly impossible to penetrate. PunctureGuard provides the extra protection that will extend the life of your trailer, load after load, year after year. 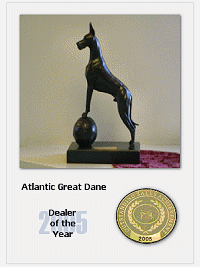 Tim and Gene recently returned from the Great Dane Sales meeting held at the Marriott Sawgrass in Ponte Vedre. The event theme was “Drive Away with More.” It focused on the value of Great Dane trailers over the competition and highlighted the new standards being implemented on trailers ordered after the first of the year. Corrosion has plagued the transportation industry for decades and with the evolution of ice management chemicals, preventing it has now become even more complex. Great Dane now offers a complete package of comprehensive corrosion prevention solutions.